Transporting any type of firearm, real steel or airsoft, properly is a safety concern not just for you and your rifle, but also others. Until your boots are on an airsoft field or arena, keep your gun out of plain sight. 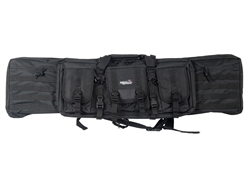 Transport any 43" rifle, secondary weapon, and an assortment of gear in one go with the Lancer Tactical 46" MOLLE Gun Bag in Black. The main compartment is sized perfectly for any long range sniper guns that includes models like the M14. 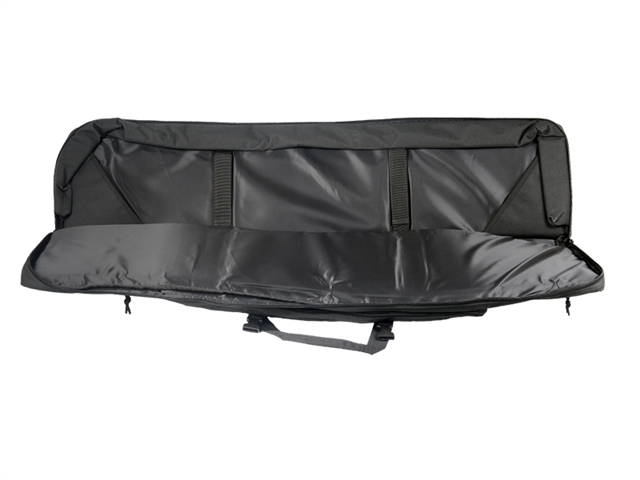 The main compartment is generously padded to protect your rifle from scratches and damages as you move to and fro and includes Velcro straps to help secure your rifle from jostling around in its 40.5" x 11" compartment. 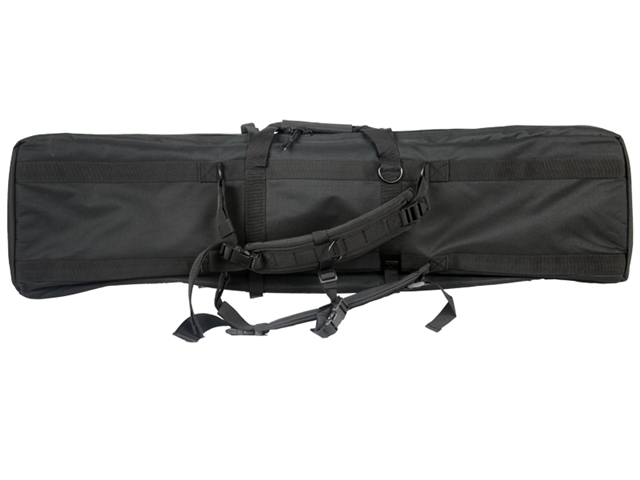 Secondary compartments are available to hold similar length items such as cleaning rods and includes a bonus of 3 quick-release buckled pouches to store your ammunition, magazines, and any other essentials you might need. 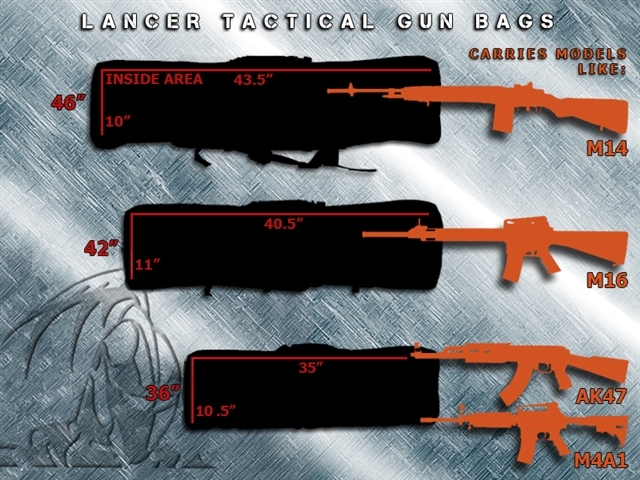 They're attachable to the front face of the gun bag via the MOLLE lined webbing panels that adorn the entire face of the bag and have more than enough room to be expanded with other MOLLE gear. 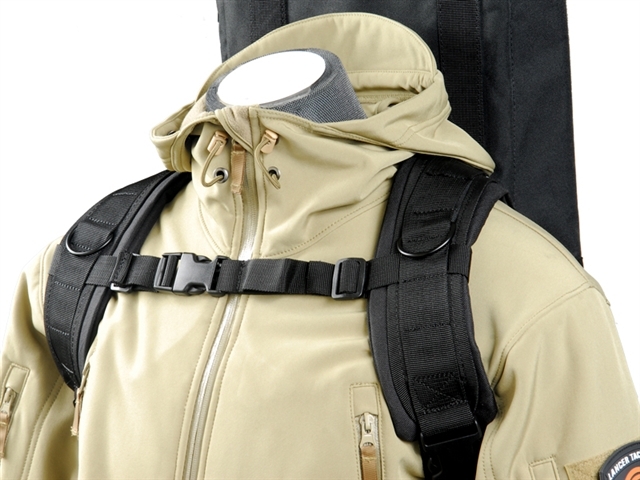 Carry it with either its convenient to use dual grab handles or wear it on your back comfortably via its shoulder straps with sternum strap. 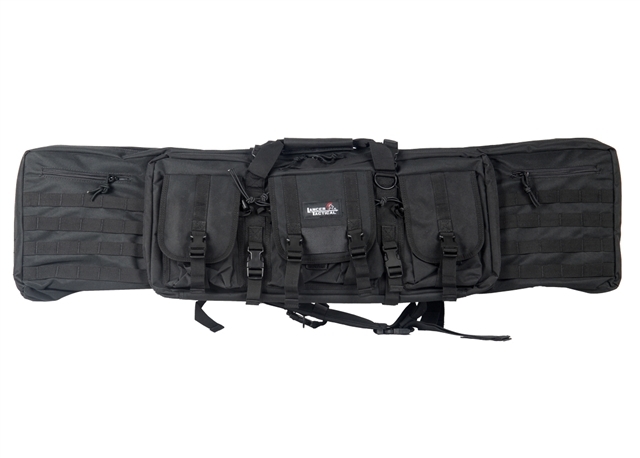 Put together with tough 600 Denier Polyester materials you can expect the 46" MOLLE Gun Bag to be a rugged and dependable piece of equipment for all your carrying solutions.